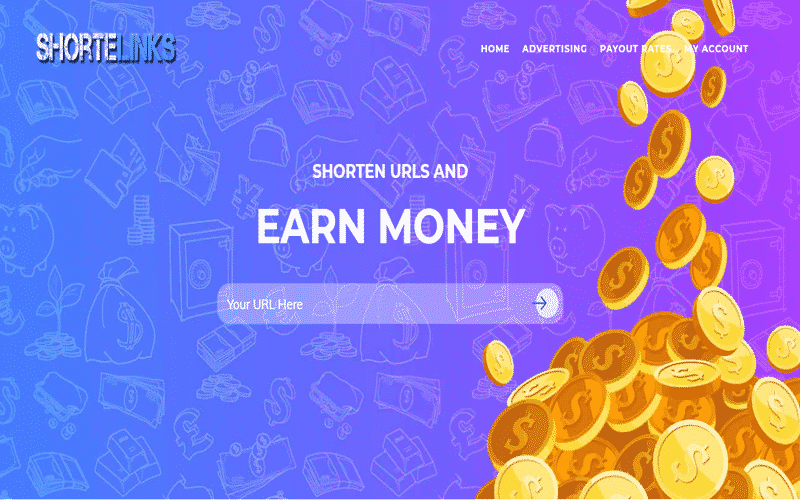 If you are looking for the best way to earn money from URL shortener service, then in this post, we are going to share with you the Best URL Shortener websites of 2019 to Earn Money Online. 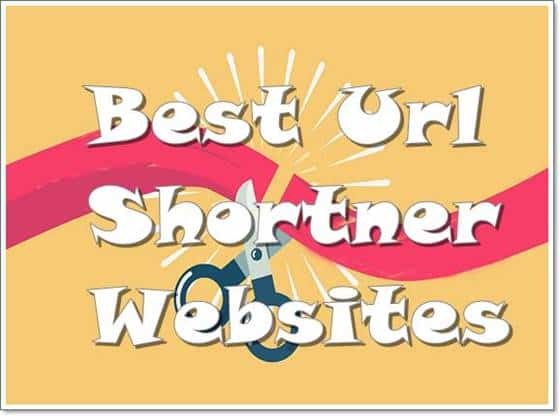 By using URL Shortening Website or Service, Easily earn money by shortening the long URLs of different websites. Now guys don’t worry if you do not have any website or blog, just create any short link that you want to share and post it to your social media platform to earn money from URL shortener. If you own a website or blog, it would have a bonus for you. Whenever someone visited your created short link the money is credited directly to your account. Building short links is the best way to earn money online without any additional technical skills. Links sharing is an essential aspect of the internet world, but now you can easily short your long and ugly URL in short one to earn money. When a user shortens a Url on any of the popular link or URL shortening services, the URLs gets stored in the database under a unique ID or time stamp. That unique ID /time stamp is necessary for counting the clicks on that particular. The timestamp helps it to keep the links “permanent” because the date and timestamp are not repeated in the future again. Now if someone visits your created links, then you get paid for it. These Link Shortener Services or Websites can pay you $2 to $5 for every 1000 visitors to your created link. They pay you for bringing traffic and potential new customers for them. If you want to earn good amount of money with URL Shortener, then the best method is to share a popular post or article. Find new viral sites or news and shorten their URL with URL the shortener services. Now share this article, trending topics, viral images, news, videos on the internet. Share the trending topics on your social profiles, forum or websites. People love to read trending news and topics. So they definitely click on your URL and you earn money from there. 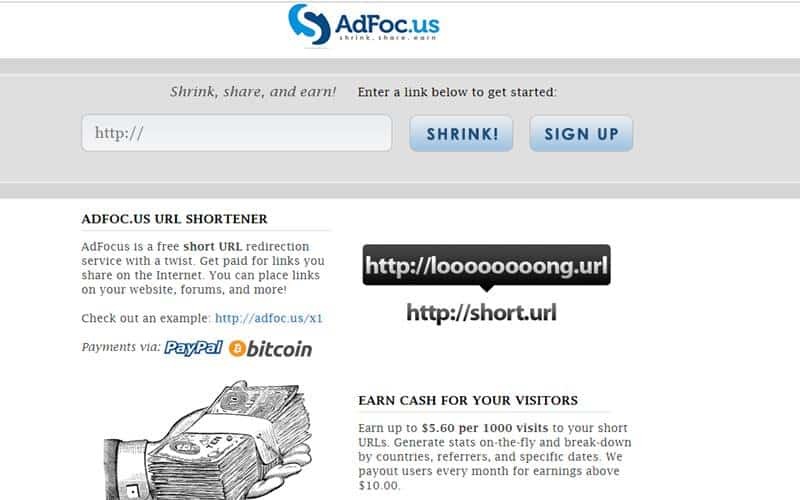 Now, let us check out the Best URL Shortener services to Earn Money. Shorte.st is one of the popular and most trusted URL Shortening services. The Shorte.st is a user-friendly URL Shortener Service allow you to monetize the links you share. This URL Shortener service provides an opportunity to earn $5 to $15 per 1000 views for sharing their shortened links. The shorte.st allow you to increase your earning from your WordPress blog with the help of shorte.st, WordPress plugins. Shorte.st has a minimum payout of $10. The payment is credited automatically to your account on 10th of each month. The payment methods include PayPal, WebMoney and Payoneer. Earn 20% lifetime commission from the referral earning. • Payment Method: Paypal,Webmoney & Payoneer. • Referral Earning: 20% Commission on Referrals for Lifetime. Shortelinks.info is one of the best and my favourite URL shortening website. This site allowed you to earn 6$ to 8$ per 1000 views. And the favourite part is that it had the highest referral earnings for its users. Shortelinks makes it easy for you to earn money online. Just create an account, create a short link and post it. For every visit, on short URL you can earn up to 10$. If you want to earn from blog or websites, then this site is best for you. • Referral Earning: 25% Commission on Referrals for Lifetime. 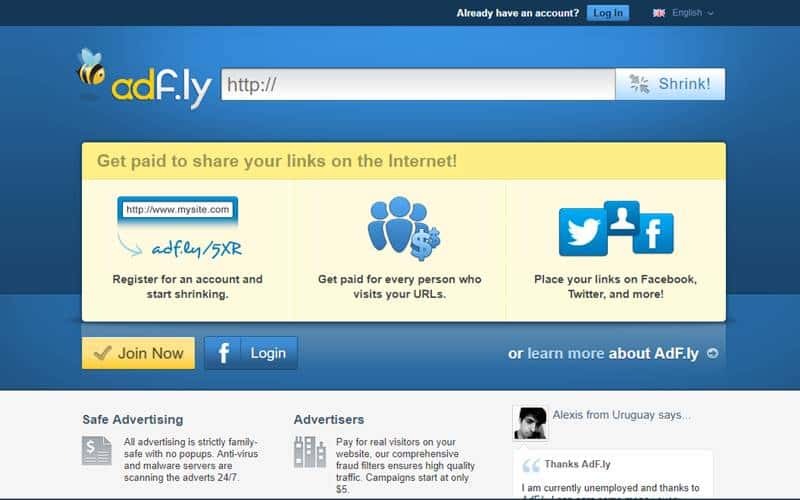 Adf.ly is one of the oldest and trusted URL Shortener Service for making money by shortening links. 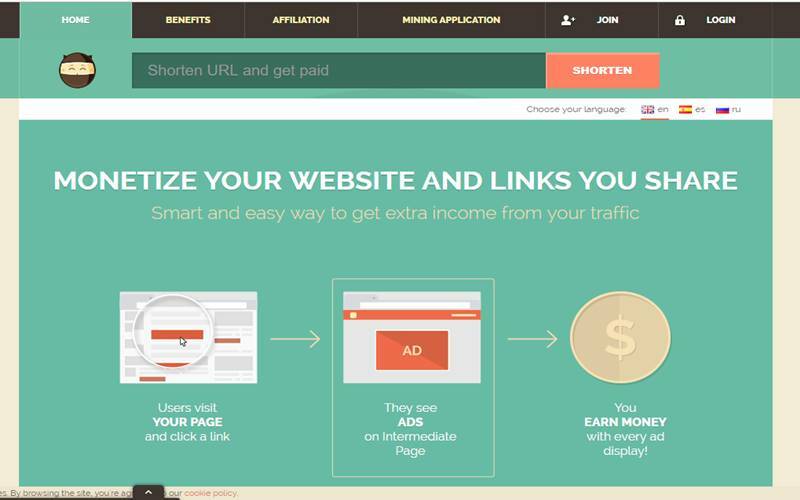 The URL Shortener service provides you with an opportunity to earn 3$ to $5 per 1000 views. However, the earnings depend on the countries link visited. It offers a sophisticated system for tracking the performance of your shortened URL. The minimum withdrawal is kept low on $5 for PayPal and $20 for Payoneer. AdF.ly pays on 10th of every month. You can receive your payments via PayPal, Payza, or Payoneer. With Adf.ly referral program, you can earn a flat 20% commission for each referral for a lifetime. • Payment Method: Payoneer or Paypal. Al.ly is another popular URL shortener website. Minimum withdrawal limit is only $1.00, Get paid with PayPal, Payza or Skrill. You have to earn only $1.00 before you are paid. Websites pay users via their PayPal, Payza or Skrill. Short URLs are not the only way to get paid, Earn 20% commission on referrals for a lifetime! • Payment Method: Paypal, Skrill & Payza. AdFoc.us is a free short URL service with good pay rates. Get paid for links that you share on the Internet. You can share these links on your website, forums, and more!. Earn up to $5.60 per 1000 visits to your short links. Generate stats on the go and break-down by countries, referrers, and specific dates. The website pays for users every month for earnings above $10.00.